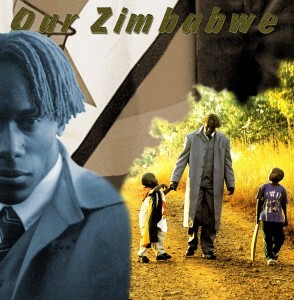 ﻿ Pixel Criminals Henry Olonga's Website » Our Zimbabwe 2011 is finally here!!! First of all congratulations! My wife Sandy and I very much enjoyed your talk and singing performance at the Rotary Conference in Chester yesterday. As ex-Zimbabweans we felt both sad and proud at the same time. You made a great impression on our club and emphatically demonstrated how great our country could have been. As you said, most Zimbabweans are wonderful people who do not ask for a lot. They just want a voice, an equal opportunity to realise their ambitions and to live together in peace. Like you, we feel privileged to have grown up in Rhodesia/Zimbabwe. It made you and us what we are; and we are grateful. It was a great country once; yes there were problems, but people of all races, colour and religion are willing to work together to sort them out. The current regime has acted only in self interest and their methods are nothing less than reprehensible. However, change cannot be far away. Zimbabwe can be the new ‘Rainbow Nation’. Let us pray that this will be so and that the suffering of so many will not have been in vain. One might add that you (and others like Andy Flower) are to be commended for the stand you made. We sincerely hope that also was not in vain. Unfortunately we didn’t get to meet you personally yesterday; maybe another time. ‘Our Zimbabwe 2011’ … unsuccessful so far, but will try again. We also intend to buy your book and would be grateful if you would inscribe it for us. Many thanks. you are my true hero,proudly zimbabwean,big up to you bro….